Adulucia, Spain selected as European Golf Destination of the year – AGAIN! In 1492 Christopher Columbus set sail from Huelva to discover The New World. Now it’s time for North Americans to discover this charming stretch of pristine golden beaches and pine forests near the border between Spain and Portugal. This award recognises the golf tourism promotion and commercialisation of the region as well as its support and marketing with golf tour operators. 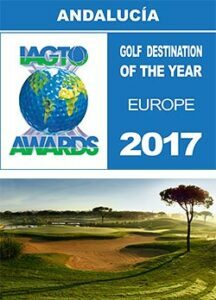 Andalucía has been awarded as “European Golf Destination of the Year” during the 2017 IAGTO Awards Ceremony, held by global golf tourism industry organisation IAGTO (International Association of Golf Tour Operators). This award, this past week during the IAGTO Awards Gala Dinner on the final night of the International Golf Travel Market, recognises the activities developed by the region for golf tourism promotion and commercialisation, as well as its support and partnerships with golf tour operators. The award, which is voted for by IAGTO’s tour operator members worldwide, is one of a number granted annually from among a selection of nominated golf destinations and resorts which offer the best performing experiences to their clients according to different criteria, related to customer satisfaction, quality of golf courses and accommodation, value for money, professional conduct of suppliers, support from the local tourism industry and accessibility of tee times. The “Golf Destination of the Year” awards are given to the winners chosen from five world regions: North America, Latin America & Caribbean, Europe, Africa & Gulf States & Indian Ocean, Asia & Australasia. This is the second time that Andalucía has received this prestigious accolade, having previously won it 2009 a fact that, in words of the Minister of Tourism and Sports of Andalucía, Francisco Javier Fernández, is the most evident proof of the “quality and excellence” of the golf offered by the region. Fernández, who collected the award at the Gala Dinner in Palma, Mallorca, highlighted the “attractive and diverse complimentary offers of the region that suit almost all the preferences and desires of the visitor” and contribute to enhance Andalucía as one of the most complete and competitive destinations worldwide. 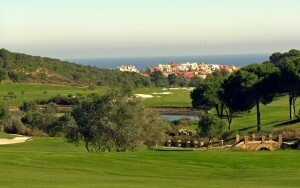 Andalucía is one of the outstanding golf destinations in Continental Europe. With more than a hundred golf courses located all over its territory, the region is the national leader in golf product and the golf tourism segment is considered as having one of the most significant impacts in the tourist industry of the region. 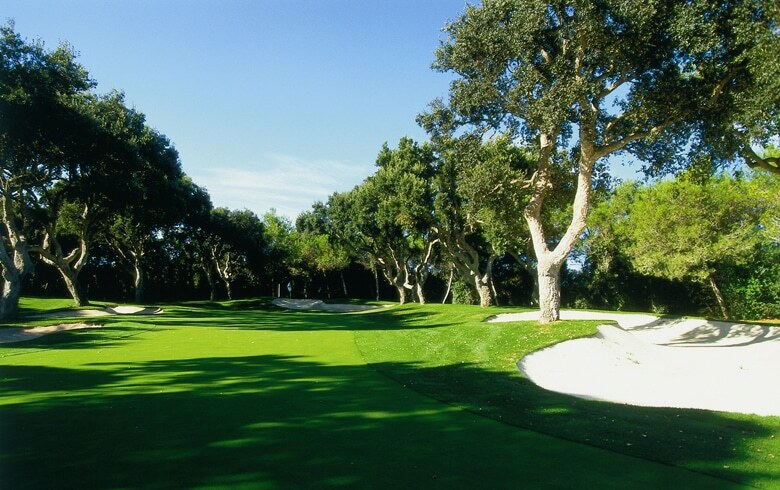 Bucket list golfers will be on the lookout for Valderrama so often touted as the #1 course in Europe which has hosted many European Championships and Ryder Cups. Don’t overlook neighboring La Reserva a Robert Trent Jones gem and site of a Traveling Golfer tournament win! The destination welcomed 480.000 tourists with golf as the main aim of their trip in 2015. This figure represents an increase of 4,9% compared with the previous year. The region has a special interest in the profile of golf travellers, thanks to their long stay average of 11 days. Generally visitors to the area need not pack rain gear for this journey since the area boasts about 300 days of sunshine per year. So next time you are pondering a golf getaway and maybe Europe on the brain consider the Andalucía region of Spain. World class golf, very reasonable stay & play packages, plenty of sunshine, history and maybe some sultry salsa lessons.